Ripped Force Energy Drink is made by American Body Building (ABB). 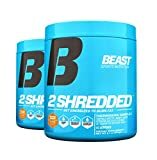 It is marketed as a fitness/body building supplement. All flavors of Ripped Force have the same caffeine content. Ripped Force Energy Drink has a number of stimulants besides caffeine and guarana. It's possible for people to have adverse reactions to these as well. 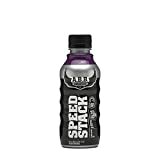 During first use, people should consume only a small amount of Ripped Force Energy Drink to see how well their bodies tolerate these additional stimulants. Ripped Force isn't suitable for those under 18 years of age. See our complete review of ABB products here. How Does Ripped Force Energy Drink Compare? Ripped Force Energy Drink contains 11.11 mgs of caffeine per fluid ounce (37.57mg/100 ml).